Christchurch stages an annual Classical Sparks concert in February, featuring music and fireworks. 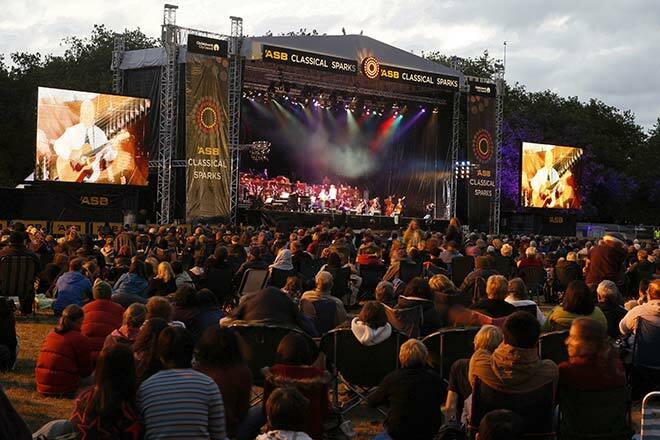 In 2013 a crowd of around 50,000 turned up to Hagley Park to hear the Christchurch Symphony Orchestra, the New Zealand Army Band and soloists perform. As well as giving classical concerts, the orchestra plays with jazz and pop artists and participates in community events such as this.